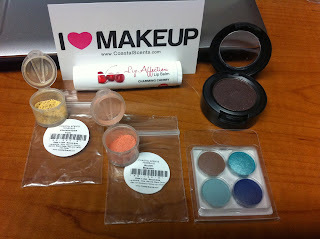 One thing that I like to do when I get my glam bag is to check out the deals from the products that I receive in my glam bag. 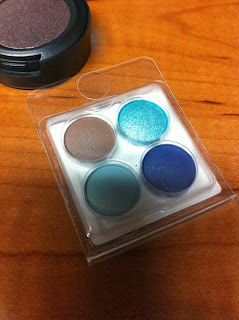 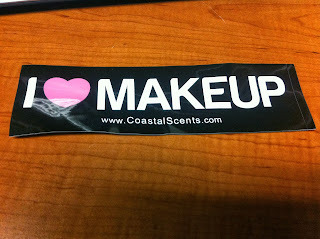 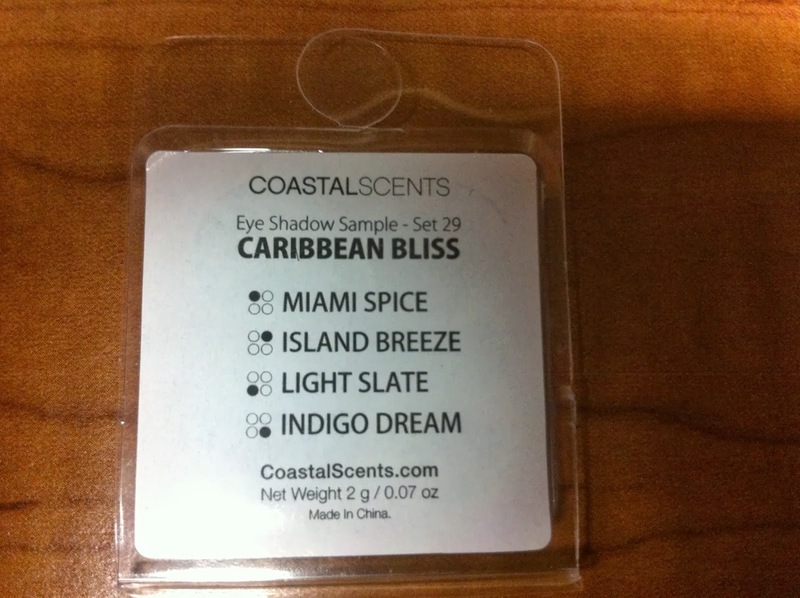 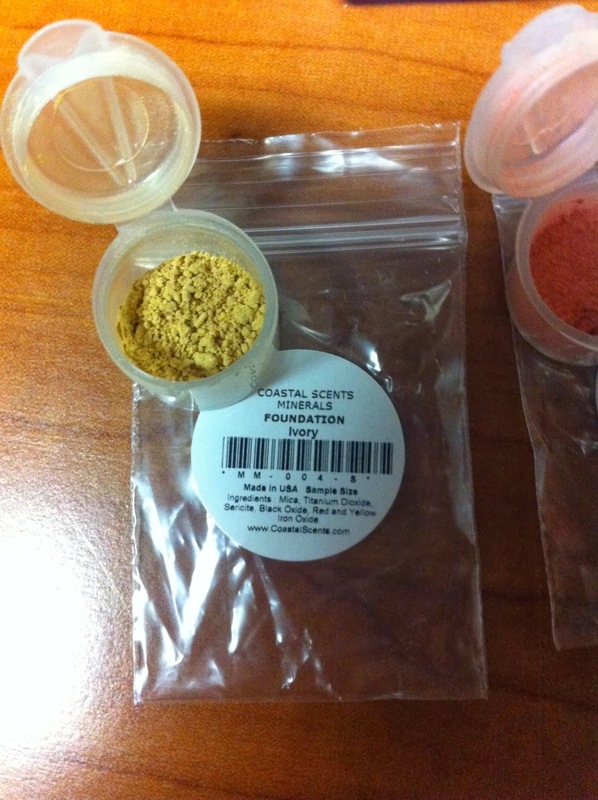 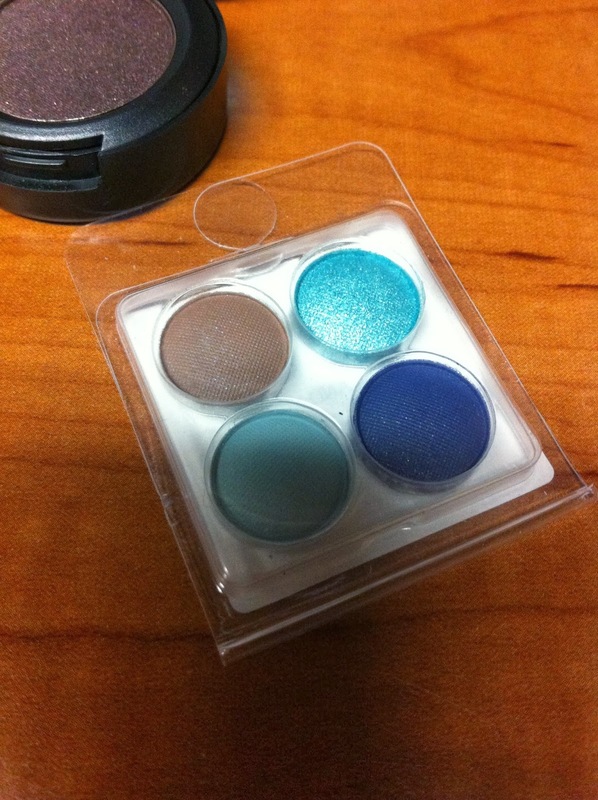 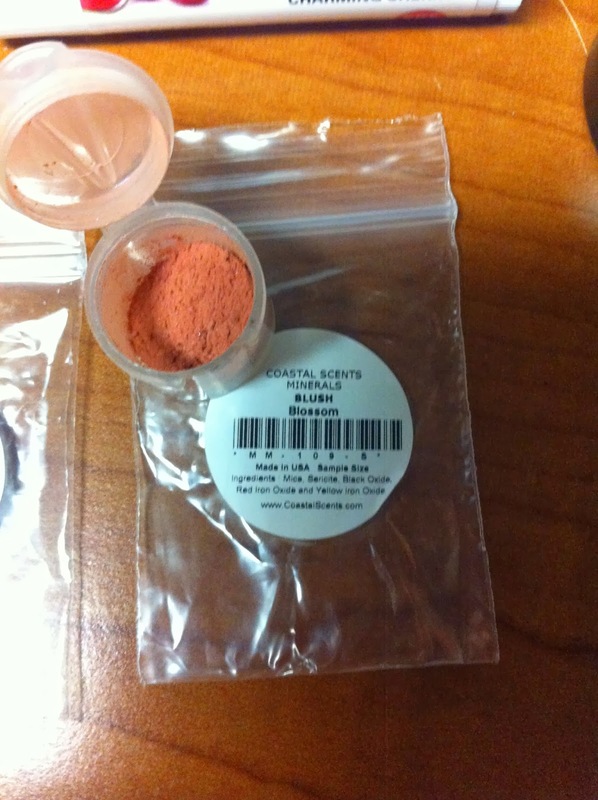 Coastal Scents is new to me so I checked it out and what really appealed to me was the ability to buy samples to try before spending a ton of money on a product I may not like. 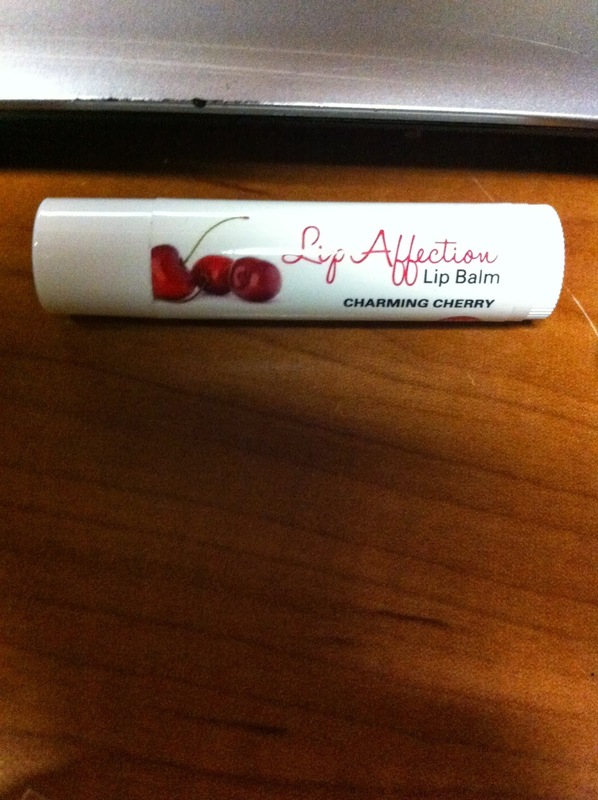 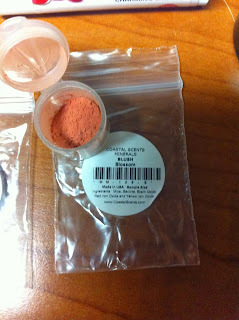 The samples are very reasonably priced and I even got a little gift for making a purchase. 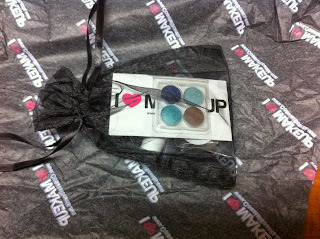 Also if you subscribe you earn 300 points which equals to $3.00 off. 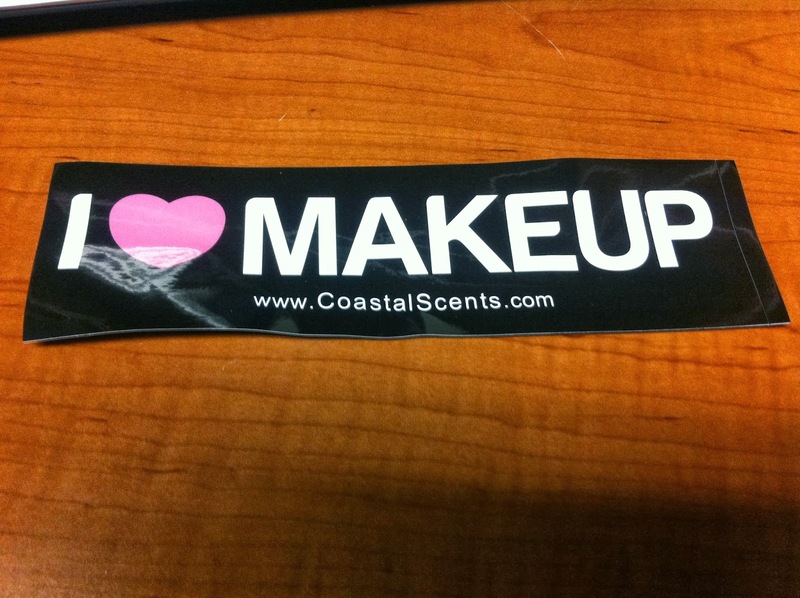 Cool Sticker they threw in there. 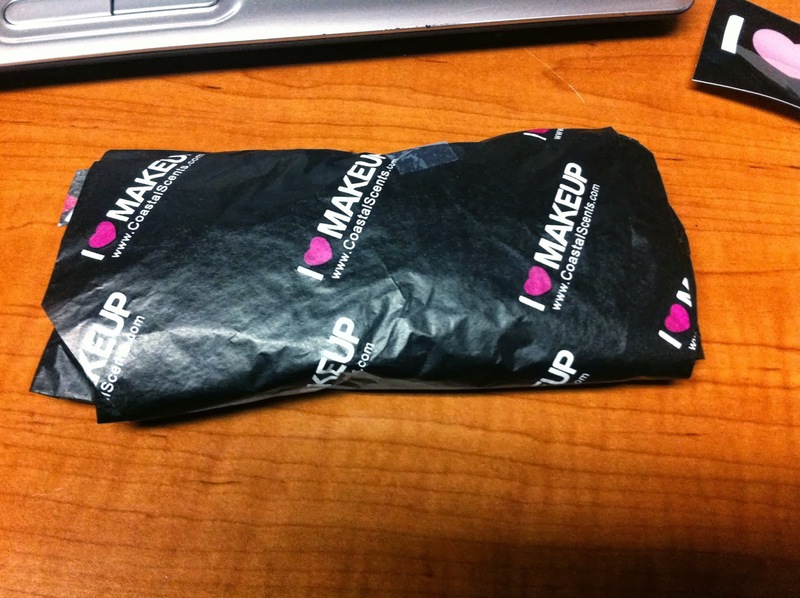 I love how they put everything in this little black bag! 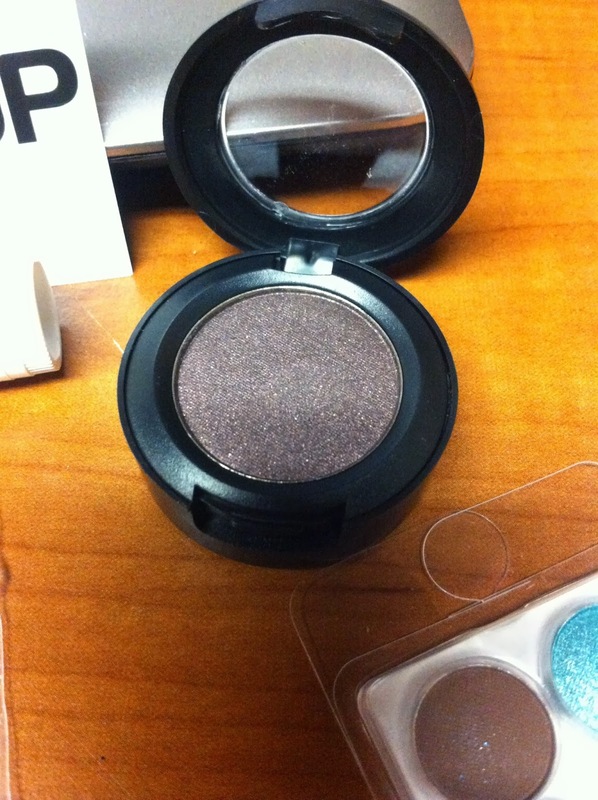 Eye shadow in Chocolate Berry. I also purchased the little black pod for the eye shadow to go in.